Last time we were in Dublin, it was winter time, cold, rainy and dark for the majority of the day. We still had a great time, but this visit was especially perfect because we had sunshine, blue skies, and warm weather! Having only 2 days in Ireland, we made the most of it – visited Book of Kells (since it was closed last time), National Gallery of Ireland and Merrion Square. The highlight of the trip was our hike from Bray to Greystones. Find out more below about our trip to the coast! It was our first time staying in The Netherlands during Springtime. Last Spring on our way to Copenhagen, we flew into Amsterdam as a layover and saw the tulip fields from above which was a pretty sight. Seeing them in person though at ground level was even better! Our day trip out to Lisse was such a fun adventure – check it out! We were in Prague at a special time – Easter time! Easter in Prague is big – they decorate the Old Town with eggs, ribbon and set up Easter Markets. In addition to the Easter Market, we found ourselves some wonderful restaurants. In this post, we feature our favorite restaurants in Prague! We have been waiting to go ‘czech’ this city out for a couple years now and finally got a chance to this Spring (April 2018). What a lovely capital city it is – bustling with history, cobblestone streets, gothic churches, colorful baroque buildings and of course the beer! Czech Republic consumes the most beer out of any country in the world. When you visit you will see and taste first hand why – its smooth, delicious and cheaper than water! Find out more what we did on our trip below and in the next post where we ate! 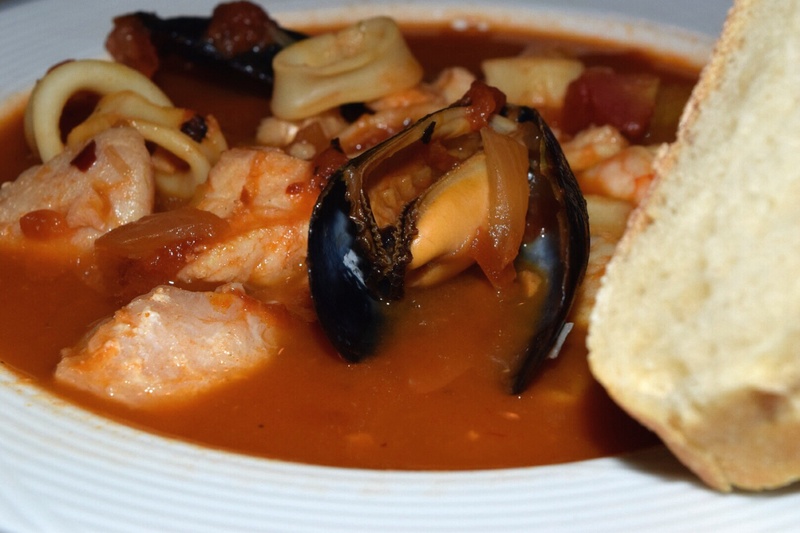 If cioppino is on a restaurant menu, it will be ordered! T.W.O. 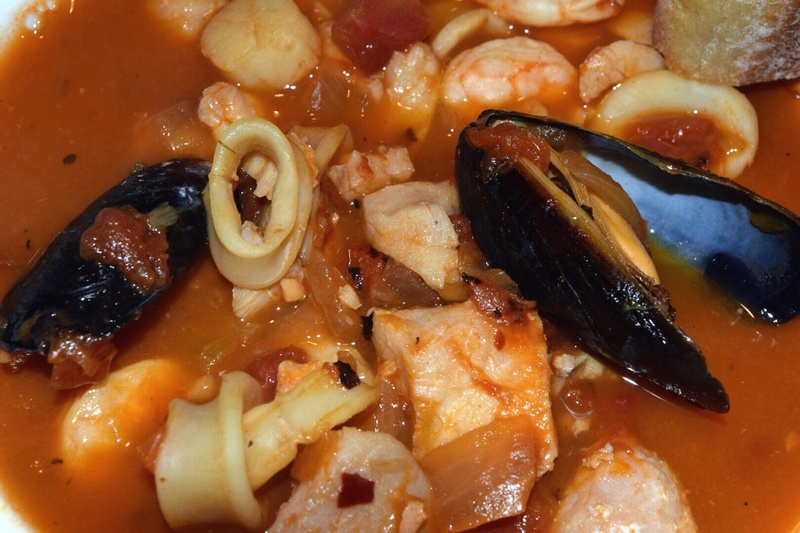 absolutely loves this dish, but has not yet experienced making a pot of their own. So we decided to take a stab at it – it was a success! 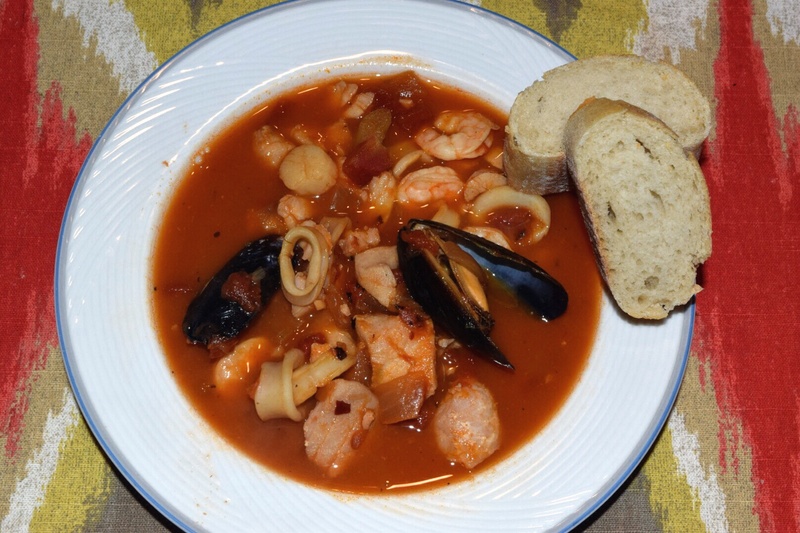 This cioppino recipe is simple, full of flavor and is definitely a favorite recipe to file in the book! Heat the oil in a very large pot over medium heat. Add the fennel, onion, shallots, and salt and saute until the onion is translucent, about 10 minutes. Add the garlic and pepper flakes and saute 2 minutes. Stir in the tomato paste. Add tomatoes, wine and chicken stock. Season with salt, pepper and basil. Cover and bring to a simmer. Reduce the heat to medium-low. Cover and simmer until the flavors blend, about 30 minutes. Add the mussels to the cooking liquid. 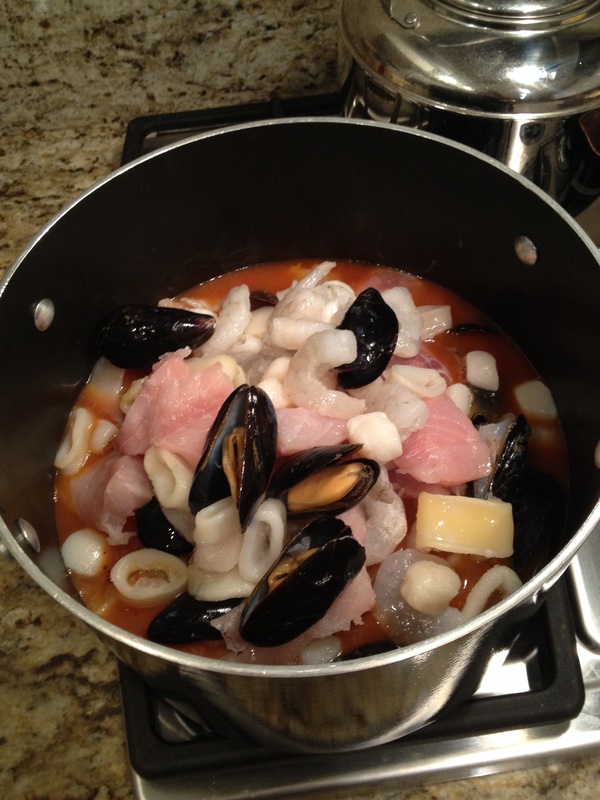 Cover and cook until the clams and mussels begin to open, about 5 minutes. Add the shrimp, calamari and fish. Simmer gently until the fish and shrimp are just cooked through, and the mussles are completely open, stirring gently, about 5 minutes longer. Season the soup, to taste, with more salt and red pepper flakes. Chips can make or break a meal. We all know everyone fills up on chips before they even get to the main entree. So why waste the calories on fattening, unsatisfying chips? T.W.O. 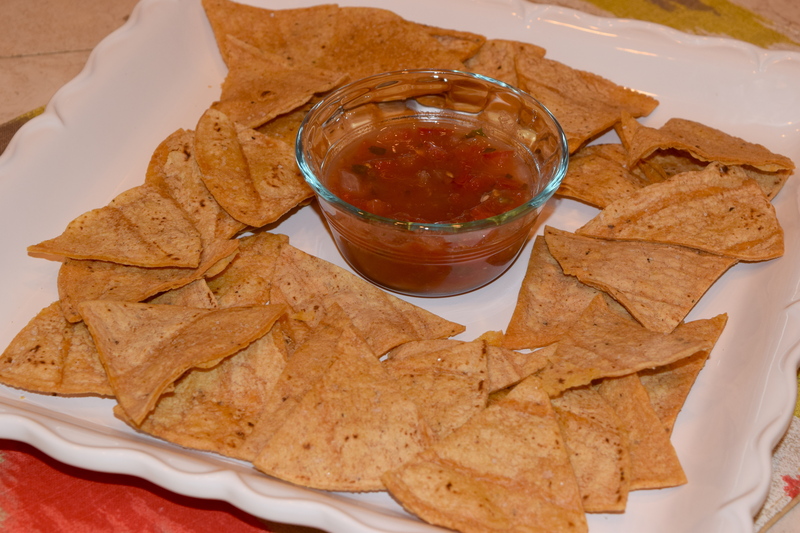 Has the perfect recipe for you to “wow” you guests on the next taco night! 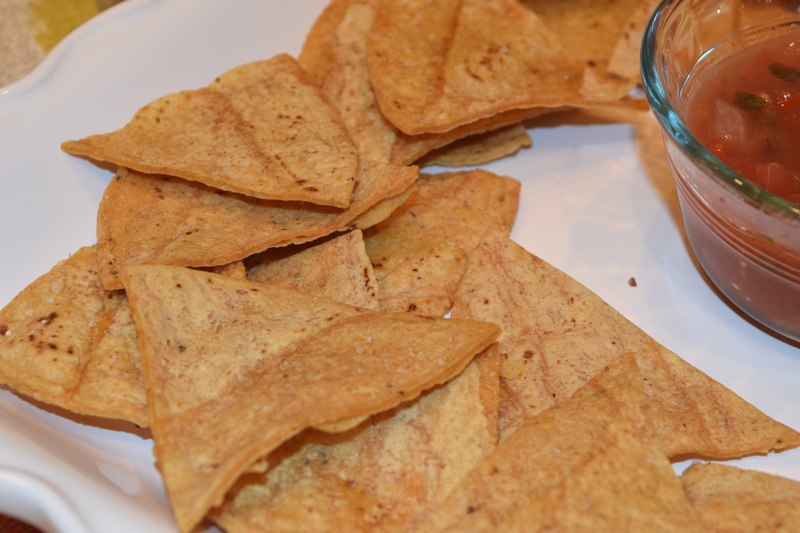 Grab you salsa and guacamole because these homemade chips are sure to be a crowd pleaser!! 2. Cut tortillas into triangles. Place on a foil lined baking sheet. 3. Brush with olive oil and season with cayenne pepper and salt. 4. Place in the oven for about 15-20 minutes. The “chips” will become brown, but don’t over cook. 5. Remove from oven and let cool for 10 minutes. They will harden as they cool, but serve warm for bet results.